Built to comply with process industry precision requirements for flow, level and interface sensing in liquid, gas or foam, Fluid Components International’s FLT93 Switch Series is now rated Safety Integrity Level (SIL) 2 compliant. The SIL-2 compliance rating is designated in the failure analysis report with FMEDA techniques by testing laboratory TUV NORD CERT GmbH. The FLT93 Switch series has been classified as Type A subsystem in accordance to IEC 61508-1 with a hardware failure tolerance of 0. The Probability of Failure on Demand (PFD) meets SIL-2 capability standards. For process and plant engineers in all industries, safety considerations for people and facilities are a crucial factor when specifying process technologies. SIL ratings provide a key assurance of confidence that the safety rated equipment has been tested and shown to prevent dangerous failures and to control them in the event they occur. Fluid Components International’s new SIL-2 safety compliance ensures its customers that the third-party testing organisation (TUV NORD) has tested the FLT93 Switch series and when the product is in use, the process risk is reduced to the designated level. Fluid Components International’s customers can rely on the company to continually improve the safety and reliability of all of its solutions. Fluid Components International’s advanced thermal mass flow switches and flow meters have the advantages of precision flow measurement, high reliability in rugged operating conditions, low maintenance, long-life and low cost-of-ownership. Their highly intelligent microprocessor-based designs feature a no-moving parts thermal mass flow sensor, which makes them ideal for a broad range of industries including chemical, energy and power, food/beverage, oil/gas, pharmaceutical, water/wastewater treatment and more. Fluid Components International’s Flex Switch series has a record of good performance and reliability. The advanced FLT93 Switch series features a unique design that monitors flow, level or interface and can perform flow and level sensing simultaneously. 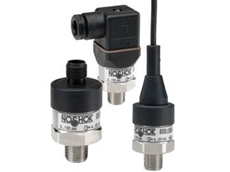 The Flow/Level (FLT) Flow Switch reliably monitors the flow, level and interface of liquids, gases, slurries, syrups, lubricants, coolants and more. 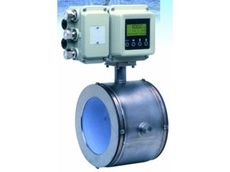 It is ideal for tank level monitoring and pump low-flow protection applications. The FLT features a wide set-point range, which varies according to service media (liquid, gas or foam), beginning from 0.003 to 1.5 SMPS in hydrocarbon-based liquids. 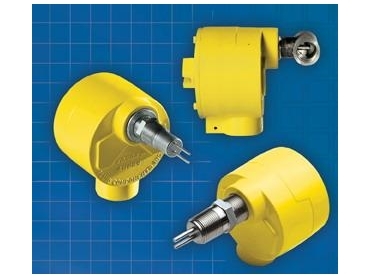 This innovative instrument is ideal for heavy duty industrial environments (FLT93S), pump protection and small process connections requiring a fast, high responsive switch (FLT93L-F Style). Applications for these switches include pump protection for low flow levels and empty pipe, wet/dry detection, sump level detection, high/low level alarm and control, interface control in separation vessels, foam and sediment interface control, and agitation detection. The FLT is hydrostatically proof pressure tested to 240 bar (g) at 21°C. Derated with temperature, the maximum operation service recommended is 162 bar (g) at 260°C. Higher pressure ratings and temperature ratings up to 455°C. are available with special construction and test certification. A wide selection of standard and custom process connections can be provided. The electronic control circuit can be integrally-mounted with the sensing element, or it can be located in a remote location. The standard enclosure is made from a coated aluminum alloy. It is suitable for use in hazardous (FM, CSA, and ATEX classified) locations and is rated for NEMA Type 4X (IP66) environments. 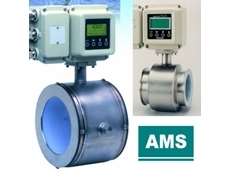 Fluid Components International’s Flex Switch series is available from AMS Instrumentation & Calibration.